I’m writing to ask your help in crossing the finish line and completing the job many of you started back in 2010 opposing the basing of the F-35A in the midst of our residential communities. We have been phenomenally successful, and the end of our struggle is almost in sight. While we were unable to convince our elected officials, we DID convince the U. S. Air Force. They were about to choose another base, until Leahy forced them to select us. 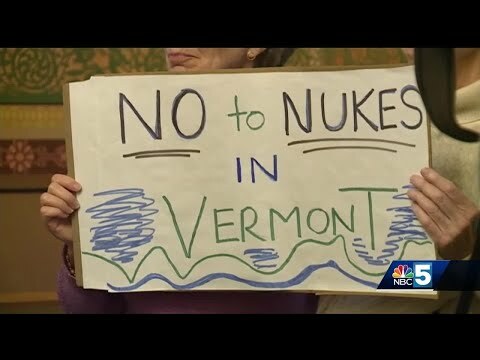 It is deplorable that despite overwhelming evidence that basing the F-35A in the Burlington area will result in grave harm to the people living near the airport, Senators Leahy and Sanders, and Representative Welsh favored the military-industrial-political complex over the people of Vermont! So, we took legal action — perhaps not the course most of us would have chosen – but it was the only viable option available to us. Fortunately, we have the highly respected lawyer Jim Dumont, who is working for us at a reduced rate. Jim has developed strong arguments and strategies. Our case is powerful, and we have a good chance of winning. Let me explain why. However, this loss was actually a win in that it gave us an incredible opportunity. Jim Dumont was able to convince a prestigious Washington, DC legal firm, which specializes in arguing cases in front of the U.S. Supreme Court, to take our case – pro bono! WOW! It is hard to over-emphasize the significance of this. This firm routinely argues cases before the Supreme Court, and wins. Their legal fees for a typical case are in the $350,000 range. And, while it is astounding that they are going to handle our case pro bono, equally amazing is the fact that legal firms of this high caliber don’t take cases pro bono unless they think they can win the case. DOUBLE WOW! It gets even better. Representing us before the U.S. Supreme Court is David Frederick — a former assistant U.S. Solicitor General, an expert in federal preemption law, and someone who has tried over 40 cases before the U.S. Supreme Court. He will be assisted by a team of lawyers at the Supreme Court Clinic of the University of Texas Law School. Each of these lawyers has served as a clerk to a U.S. Supreme Court justice. To say the least, this represents an unusually high level of experience and expertise in matters before the Supreme Court. Our second lawsuit against the Air Force is ongoing. Jim identified nine counts in which the Air Force in its Environmental Impact Statement violated requirements of the National Environmental Policy Act. We expect the judge to rule on our case later this year. And, our success in getting the City of Winooski to join the lawsuit against the Air Force will definitely help. And, we’ve had more than just legal successes. A few months ago, over 45 members of our local clergy signed a letter and about 20 of them held a press conference, urging our elected officials to re-think their support for the F-35A basing. All of this looks very promising…and the end is in sight. You have done so much with your voices and letters and demonstrations. But, the time for that is over. What we need now is money. To date we have raised over $75,000 in donations from a lot of individuals of modest means. Your generosity has allowed us to pay all of our bills and legal fees. Jim estimates that his costs for the rest of this year are between $25,000 and $35,000 depending on whether the U.S. Supreme Court decides to hear our case. In order to complete what we have started, and win this struggle for justice in our community, we need your donations now. If you are able, please increase the amount you have given in the past. And, remember donations are tax deductible Donate at www.stopthef35.com. Or send a check made out to “Stop the F-35” to The Peace and Justice Center, 60 Lake St, #1C, Burlington, VT 05401-4417. Victory is in front of us. We are approaching the finish line. Your dollars can help us cross it. Let’s stop the F-35 FOR GOOD!